You may not have heard the news that is screaming through the American soccer world right now, but Mr. Onyewu is suing an Andrelicht player for calling him a “monkey” three times during a playoff game. Onyewu reported that he told the referee but he took no action. He wanted to walk off the field but his teammates convinced him to stay. One week after the incident, I saw on Soccer by Ives that Gooch took his complaint to the legal system. The Soccer by Ives thread was already had almost as many comments as the Galaxy have ties and I knew before I clicked what I was going to find. There is something about the internet that draws out the racial cowards among us. Most of the people who leave racist Youtube.com comments would never say the same thing in real life. The internet gives racists bravery and a voice. They might just cower in fear when a homeless person walks past their car but give them a keyboard and they become the grandmaster of the Klu Kux Klan. Over and over I read how Gooch was a typical American who just loved to sue people. He should just have think skin. He has facial hair so he just kinda looks like a monkey. Surely it wasn’t anything personal. Come on get over it, talking racist trash is acceptable on the playing field. It makes me sick. Onyewu is doing the right thing by standing up for himself. We’ve seen over and over that FIFA will not take any real action for racism. Oh, they fight in name, they may give out minor fines, but in the end money rules all. If it wasn’t for bad press FIFA could care less if whole stadium make monkey chants or throw bananas. It doesn’t matter the situation. It is never acceptable to use any form of racial slurs. The Belgium league obviously doesn’t care. Gooch’s former team doesn’t seem to care. You have to fight for yourself. Gooch wasn’t taunted into a physical fight, but that doesn’t mean he’s a coward. By taking the fight to the legal system he is doing the honorable thing and exposing himself to media and personal fire. No doubt this lawsuit will even affect his playing career. Because the world is filled to the brim with racism, teams will wonder if he can compete in a hostile environment. 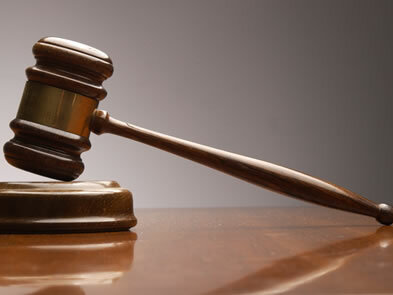 He will be labeled as a typical American always suing when things don’t go his way. Don’t be fooled. 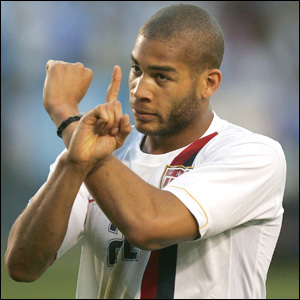 I support Onyewu. You should to. 100% agreed. Bigots must be confronted, not ignored forever because it's a bother.